These days hair loss is a major problem. When increased it becomes a cause of distress and disturbs both men and women equally. Hair loss is really a big problem and if not treated properly can lead to adverse cases. 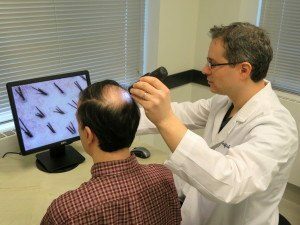 Thus to treat hair loss permanently you need permanent and trustworthy solution to this best option is consulting an expert Trichologist Surgeon. 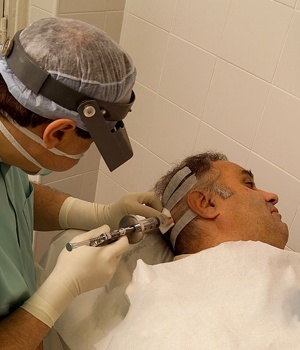 It is because even when there are plenty of alternative available to treat hair loss problem it is only a Trichologist Surgeon who can suggest best alternative to get rid of your hair problems. It is because he is an expertise hair doctor who has many years experience in the field and has adequate knowledge of the hair problem solutions. 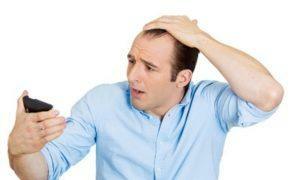 He thoroughly analyses your hair loss condition and suggest the suitable solution to get away from your hair problem. In cases of hair loss problems you must visit a hair clinic that has expert Trichologist so that he can suggest you relevant procedure for your hair problems. When a clinic has an experience hair Trichologist it is sure that you will receive positive results for your hair problem. Trichologist at Avenues are experienced doctor with adequate knowledge. Avenues is the clinic which has experienced Trichologist surgeon who has many years experience in the field of hair treatments. He has attained various degrees and training in treating hair related problems. He is famous for his end results through his procedures in hair treatment. He treat every patient with proper care and only suggest proper treatment after complete analysis of the condition of hair problems. When a patient is planning for optimum results from hair treatments he can trust best trichologist in Ahmedabad at Avenues. He has been treating hair loss patients from years. Care of every patient is his only motive. Respective treatment is suggested only after proper analysis. Every procedure is performed by the trichologist to achieve desired and realistic results. It is always advisable to consult a Trichologist in cases of hair problem rather than consulting a general practitioner. It is because an expert and specialized hair doctors can treat you more appropriately than a general doctor in cases of hair problems. If you are consulting a trichologist for your hair problem you are sure to get a treatment that can eliminate your hair problem permanently. A trichologist thoroughly analysis your problem and then suggest proper treatment, he execute each procedure in planned manner and is habitual of providing optimal results with his treatments. Other than excellent outcomes of the procedure a trichologist can provide further details about pre and post precaution for fast recovery and results. He may also assist you in diet plan, reducing stress alternatives and any other extra help you require which a general doctor may not be able to provide. When you are suffering from hair thinning, hair loss or baldness etc. When you need a true advice for hair related issues. When you need advanced hair treatments with best hair results.